Ever since its release, there’s been talk about a sequel to Bad Santa. It’s taken them 13 year, but a follow-up is finally on its way. A Red Band trailer has now arrived to give us a taste of the movie. Here’s the synopsis: ‘BAD SANTA 2 returns Academy Award®-winner BILLY BOB THORNTON to the screen as America’s favorite anti-hero, Willie Soke. Fueled by cheap whiskey, greed and hatred, Willie teams up once again with his angry little sidekick, Marcus (TONY COX), to knock off a Chicago charity on Christmas Eve. Along for the ride is ‘the kid’ – chubby and cheery Thurman Merman (BRETT KELLY), a 250-pound ray of sunshine who brings out Willie’s sliver of humanity. Official Synopsis: ‘Academy Award®-nominated star Melissa McCarthy (Bridesmaids, The Heat, Tammy) headlines The Boss as a titan of industry who is sent to prison after she’s caught for insider trading. When she emerges ready to rebrand herself as America’s latest sweetheart, not everyone she screwed over is so quick to forgive and forget. ‘McCarthy is joined in The Boss by an all-star cast led by Kristen Bell, Peter Dinklage and Kathy Bates. Directed by Ben Falcone (Tammy), the comedy is based on an original character created by McCarthy and written by McCarthy and Falcone alongside their Groundlings collaborator, Steve Mallory. The movie is due out June 2016. Back in 2014 Jessica Chastain, Kathy Bates, Susan Sarandon and Kit Harington all signed up to star in the first English-language film from queer Canadian writer/actor/director Xavier Dolan. It’s taken longer to get it going than originally planned (largely because he slotted in the upcoming It’s Only the End of the World beforehand), but Dolan has managed to hang on to his cast, along with previously announced actors such as Michael Gambon, Bella Thorne, Chris Zylka and Emily Hampshire. However, he’s decided that isn’t an impressive enough ensemble, as Variety reports that Natalie Portman, Nicholas Hoult and Thandie Newton have joined The Death and Life of John F. Donovan. The film is about an American TV star (Harington) with everything working out for him who has a secretive correspondence with an 11 year old in London. When a gossip columnist (Jessica Chastain) makes the whole thing look indecent, his life is turned upside-down. It’s not clear who the newly announced actors will play, but it is known that Kathy Bates is set to be the actor’s high-powered manager, while Sarandon will play his mother. Film rights are currently being sold at the Berlin film festival, with plans to shoot later this year. Back in September it was revealed that Xavier Dolan fan Jessica Chastain had signed on to star in the Quebecois filmmaker’s first English-language movie. Now she’s has some company, with the queer director ensuring that the film has plenty of impressive female talent by adding Kathy Bates and Susan Sarandon to the cast. Kit Harington is also set to star. Kathy Bates is set to be Donovan’s high-powered manager, while Sarandon will play his mother. Dolan made waves when he won a prize at Cannes for his directorial debut, I Killed My Mother, which he helmed when he was only 18-years-old. He’s made four more acclaimed films since then (Heartbeats, Laurence Anyways, Tom At The Farm and Mommy), all of which have concerned the queer experience in one way or another. In the 80s and early-90s, the world of film had a great sideline in female-focussed movies that traded in sentiment, nostalgia and emotion. 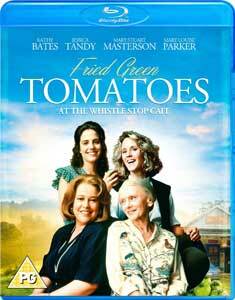 They were heart-warming and charming and many of them became major successes (Fried Green Tomatoes cost $11 million to make but grossed more than $80 million in the US alone back in 1991). They don’t seem to make that sort of film much anymore. Indeed they don’t seem to make that many major female-focussed movie at all that aren’t rom-coms or potential Oscar bait. Poor old Sandra Oh. She’s just made a movie where she plays the lesbian partner of Kathy Bates, and now she discovers that Kathy would have preferred someone else all along! The movie appeared in together is Tammy, the Melissa McCarthy comedy that hits cinemas next week, and sees McCarthy going on a road trip with her foul-mouthed grandmother (Susan Sarandon), and meeting up with Bates and Oh along the way. Melissa McCarthy is set to make her directorial debut this year with Tammy, alongside hubby Ben Falcone, working from a script they wrote together. Now she’s started to pull the cast together, with THR saying Susan Sarandon and Kathy Bates are in talks to join the film, with Deadline adding that Mark Duplass has also signed up. The screenplay is about a woman (McCarthy) who loses her job at a fast food restaurant and then finds out her husband is cheating on her. She goes on a road trip with her foul-mouthed, hard-drinking grandmother (Sarandon) to escape the problems in her life. Shirley MacLaine was apparently in talks for the grandmother role, but that didn’t work out, and so Sarandon is on the process of stepping in. Kathy Bates meanwhile will be ‘the grandmother’s lesbian friend who saves the duo from some bad spots’. Duplass meanwhile is a man who McCarthy meets and develops a strange relationship with during the trip. The film will shoot this spring. For a little over a year, Jean Pierre Jeunet has been working on his first English-language film since the rather disastrous Alien Resurrection. Now he’s busy putting the cast together, with Variety reporting that Helena Bonham Carter and Kathy Bates are on for the film, The Young And Prodigious Spivet. Jeunet co-wrote the script regular collaborator Guillaume Laurent, adapting Rief Larson’s novel, The Selected Works Of TS Spivet. The tale is about youngster Spivet (Kyle Catlett), a boy who has extraordinary navigation and other skills, who decides to leave his father (Callum Keith Rennie) and the rest of his family behind in Montana to head out on a cross-country quest to the Smithsonian in Washington to receive a prize. There’s no news on exactly who Bonham Carter and Bates will play, but Variety suggests they’ll have significant roles. The movie will be shot in 3D, even if it doesn’t sound like the sort of movie that would need an extra dimension. However it sounds like Jeunet is hoping to bring some Amelie style magic and plenty of visual effects to the film, so perhaps 3D will add something. Shooting starts June 30th, with the movie planned for release late in 2013.